The deadline for submitting applications for the aids is open until November 22. The maximum annual amount that can be granted per applicant and project is twenty-five thousand euros (€ 25,000). 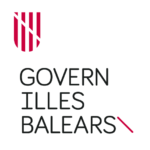 The Ministry of Culture, Participation and Sports of the Government of the Balearic Islands will process and manage the aids to promote the Balearic Islands as a location for audiovisual filming, through a call of the Institut d’Estudis Baleàrios (IEB) that covers travel and accommodation expenses. The Ministry of Innovation, Research and Tourism, will also provide 100,000€. Do you want more information about the call?